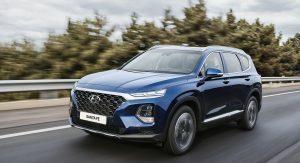 Just when you thought diesel is dead on this side of the Atlantic, Hyundai decides to bring the all-new Santa Fe over with a diesel engine. 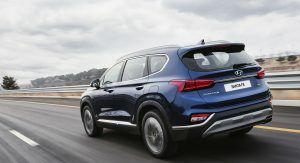 Set to arrive in the US market in 2019, the diesel version of the new Hyundai Santa Fe will be powered by the company’s 2.2-liter CRDi engine, producing around 200hp and 320lb-ft of peak torque. 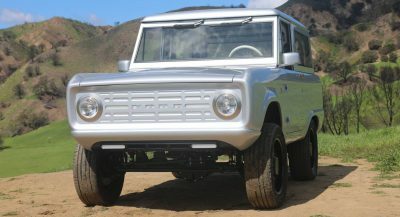 Just like the rest of the lineup, the diesel engine will be paired to a new eight-speed automatic transmission. 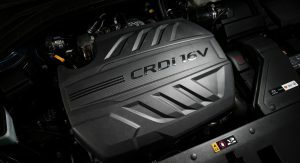 The petrol range in the US will consist of a 2.4-liter four-cylinder GDI unit with an estimated 185hp and a more powerful turbocharged 2.0-liter four cylinder unit pumping out around 232hp. 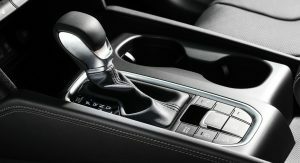 Hyundai says that the in-house developed eight-speed automatic transmission is lighter than the outgoing six-speed automatic gearbox, while it’s also more responsive and engaging. 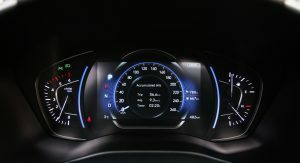 The company even claims an improvement on fuel economy by more than three percent. 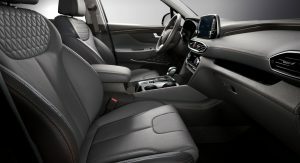 The new Santa Fe features Hyundai’s HTRAC All-Wheel Drive system which comes with three different drive modes: Normal, Sport and Smart. 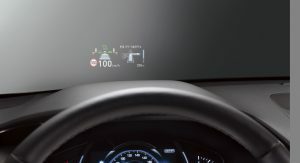 By selecting the Sport mode, the system gives you a more agile feel by sending more torque to the rear wheels. 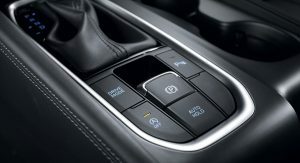 Hyundai claims that the HTRAC system offers a wider range of torque distribution variability than many of its rivals. 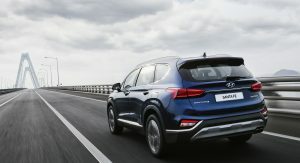 The fourth generation of the Hyundai Santa Fe will also change its naming structure: the five-seat version which is currently named Santa Fe Sport will be renamed as Santa Fe while the seven-seat Santa Fe model will be renamed Santa Fe XL for the 2019 model year. 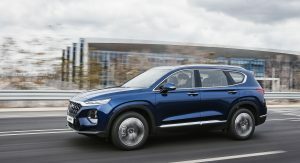 Gasoline-powered models of the new Hyundai Santa Fe are expected to hit the U.S. market this August, with the diesel models to follow later in 2019. This “Diesel” thing in cars and suv’s is getting out of hand. Filthy f&*king motors with crap loads of emission garbage to be “CLEAN”. Give it up already. Europe is starting to get away from them due to emissions even though they due give fantastic MPG. They should be used for heavy hauling and equipment. Mom hauling her kids the taco bell in a diesel is bullshi%. 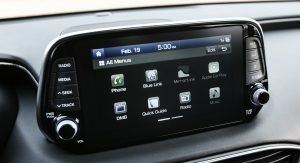 Hyundai sees a play here, let’s see where it takes us. NA diesel emissions standards are much stricter than Euro emissions for NOx and Particulates, so there’s that. As for CO and CO2, diesels can be 30% more efficient than comparable gasoline engine. I hope your right. That VW / Audi debacle really irritated me so I tend to be “glass half full” as far as diesel emissions right now. I know that a friend of mine use to do smoke screen when people were waiting on the curve or in back of him at a stop in his diesel pickup truck! It was crazy seeing people get a dose of diesel fumes. It was quite funny at the time; 20 years ago. The diesel smoke just lay there too and took a good minute to dissipate! That one of the fun things about driving a diesel engine vehicle; the smoke screen that you can generate from it! Maybe so, but I’m looking forward to considering this over the X5. My wife’s 535d lease is almost over, and I’m going to miss the torque! Strange… the 2.0 L Turbo loses hp with each evolution. Fuel consumption concerns I presume. 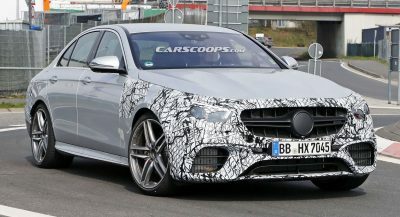 There’s no V6 option for the long wheelbase anymore also. To be fair, the 232HP variant is the Korean market ute. The USDM crossover probably/may have a bump in power. The big news is the long wheelbase model dropping the V6 engine option. Hmmm…this thing looked way better in the concept photos and spy shots. These official shots are very unflattering. The grain on the dash plastic under the leather pad looks rough and nasty. And they could have at least tinted the windows. P.S. 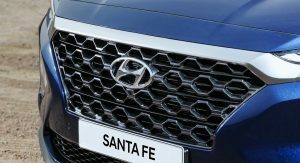 The -only- cool thing about the Santa Fe is that they have retained the little sun on the “Santa Fe” badge since the first gen.
That’s only for the south korean market. Why do you americans just jumped to conclusion without using your brain? This is why America is going to lose in WW3 due to their stupidity and physical weakness. In Canada, the previous version of that Santa Fe was also called Santa Fe XL. 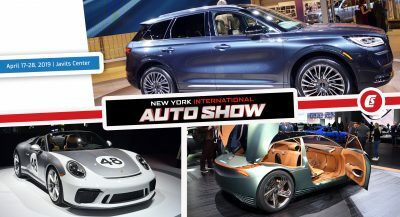 In the USDM it was marketed as the Santa Fe while the short wheelbase, 5-seater was marketed as the Santa Fe Sport, which is what Land Rover does with scaled down versions of the full-size Range Rover and Discover. 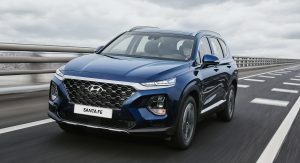 In Korean markets the 7-seater Santa Fe is called the Maxcruz, which I assume is supposed to be connected to the now-dead Veracruz. 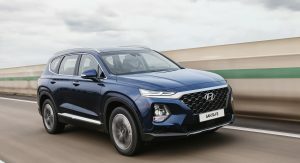 Interesting that Hyundai decided to call the long wheelbase model the Santa Fe XL. Did they study the USDM and decide we like XL vehicles more than sport vehicles. “Sport” is now save for the Genesis line of crossovers that are to be released. LOL! Nothing to do with size but performance. These marketing and ad media are twisting the meaning of words! It seems the turbo four doesn’t have the oomph to move the Santa Fe XL. 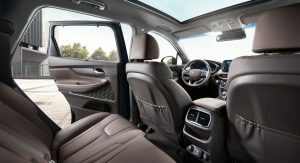 Or the regular size Santa Fe either! 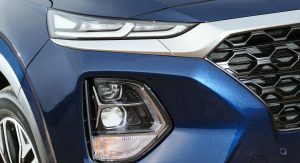 Looks like Hyundai is trying to be the low horsepower and torque for gasoline engine in their segment! 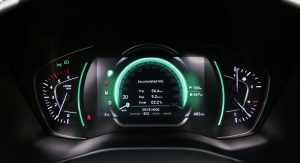 Everything is going low power and low torque too it seem in the crossover line with the exception of luxury brands. looks like great package for families, but i found out one strange thing… there is almost no storage space in front doors…. 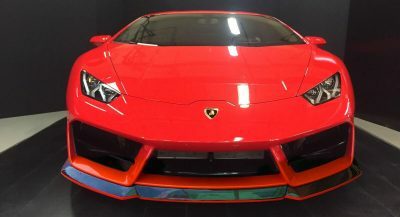 I am sure it has enough since the current one have enough and storage keeps on growing since it does not cost much to create bigger pockets in doors and center console and glove compartment.